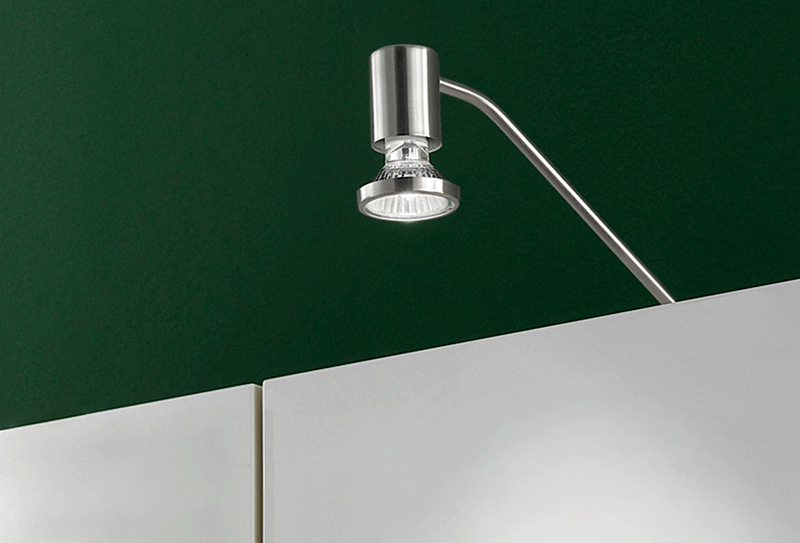 The Tricala satin nickel kitchen over cupboard LED spot light is modern, practical and stylish. It will illuminate your kitchen worktop discretely from above, making any task safer and easier to manage. Finished in satin nickel and mounted on top of a kitchen wall cupboard, with a long arm to reach beyond the front and shine light directly down on to the work surface. This is a very bright over cupboard spot light fitted with an open LED spot lamp. Satin nickel is an excellent match for stainless steel. Un-switched and supplied complete with a 4w LED lamp. Class 2 double insulated, no earth required.